Our office is conveniently located in historic downtown Brenham, the County Seat of Washington County, Texas. We provide full-service, professional real estate services to individuals interested in buying or selling property in Brenham, Washington County and the surrounding area. We recognize the confidence our clients place in us, and back every project with complete honesty and integrity. We can accommodate the sale or purchase of any real estate, including residential, country home, farm or ranch; and specialize in land and commercial property. 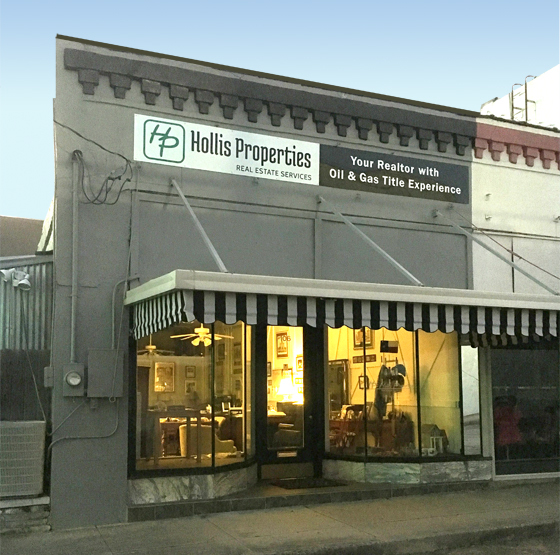 Hollis Properties prides itself on marketing well-organized real estate offerings and providing professional and accurate evaluations of the properties it represents. If you are ready to buy or sell your next property, Hollis Properties can help facilitate a smooth transaction. A native Houstonian, Julie Ellen Hollis has been licensed with Texas Real Estate Commission since 1987. She has traveled in the oil business throughout the State of Texas for over three decades. Her expertise in lease and title research, coupled with her extensive knowledge of large land deals in Texas, provides a unique advantage for her clients. Julie enjoys the tranquil lifestyle that Brenham and the surrounding area has to offer. In her free time, she loves finding new memorabilia to add to her extensive Texas Courthouse collection. When possible, Julie visits her condominium at Emerald By The Sea on the seawall across from Stewart Beach in Galveston.